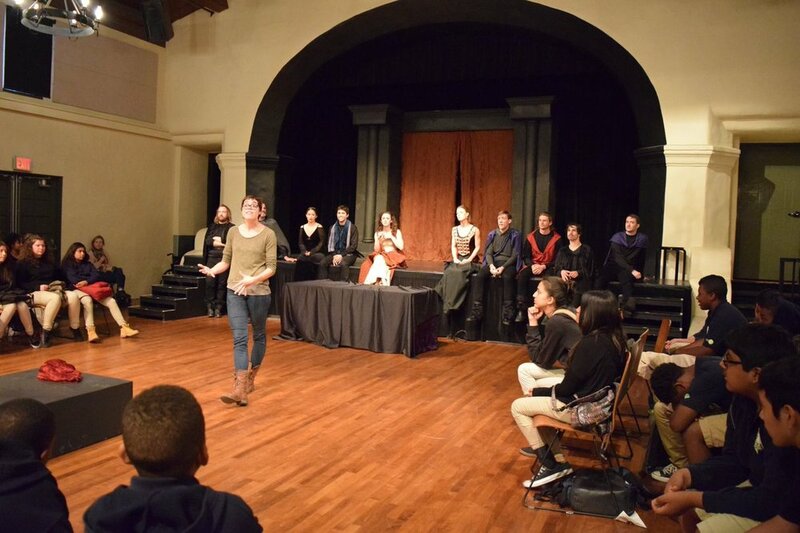 Theatre for a Small Space and its Shakespearean wing, Colonials: An American Shakespeare Company, offer free performances of classical plays to Los Angeles County Middle and High School Students. 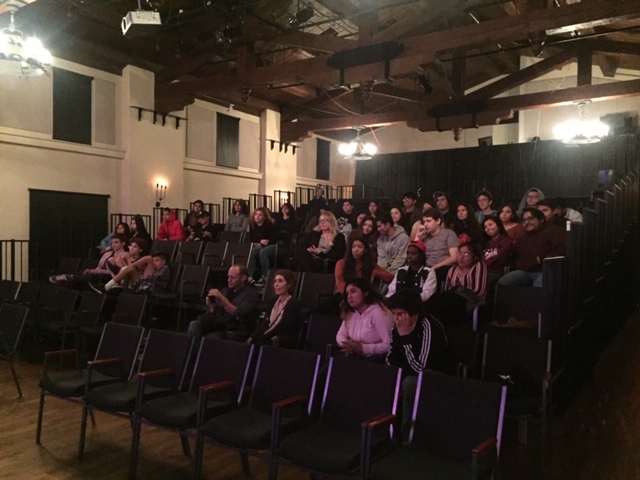 Your donation helps to bring live theatre, often for the first time, to the youth of LA. The cast of Twelfth Night poses with an audience of students from North Hollywood. Middle school students enjoying a particularly absurd moment in King Lear. Students from Animo Venice Charter High School watching Waiting for Godot. 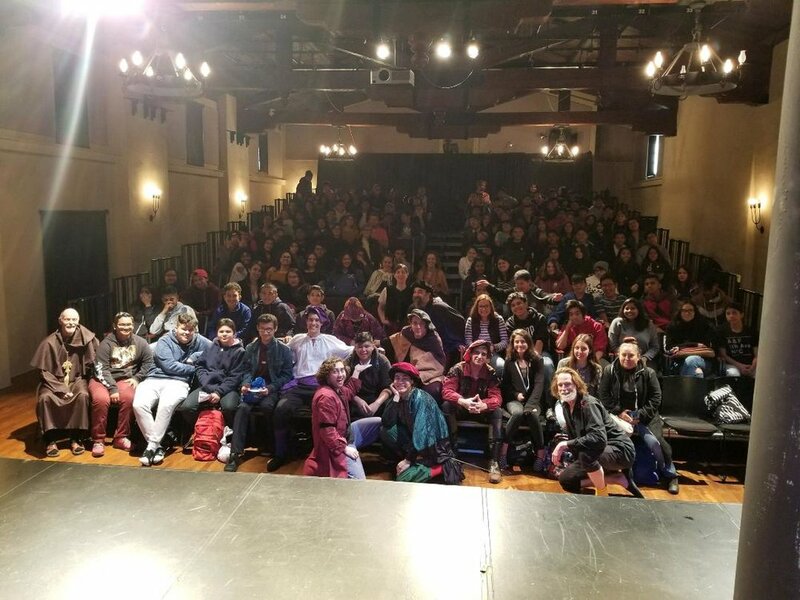 Director Rose Leisner discusses King Lear with Middle School Students from Animo- Western Charter School. Our beautiful historic theatre, right in the heart of Santa Monica.